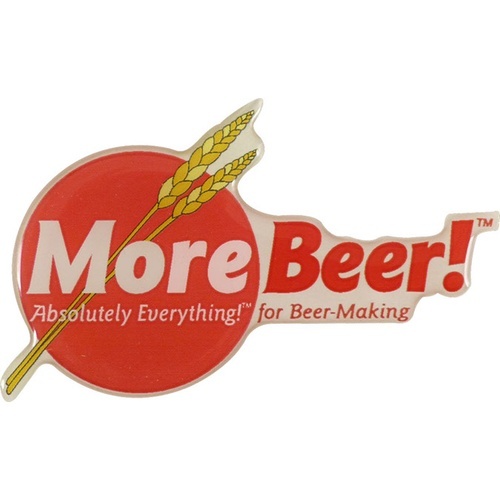 A puffy, domed sticker that just looks really sharp on kegs, kegerators, carboys, your car... actually anywhwere! Apply with pressure for 30 seconds for an incredible bond. A good addition to anyones beer fridge sticker collection. I have stickers all over my homemade kegger. This one was a great addition. I guess when I finally abandon it I will have to hang the door in my shop. It's a sticker, so not much to review... It's small and it sticks. And it looks great on my keg fridge. And it's puffy, just as described. You cannot go wrong with this sticker. Don't be left behind. Get one now.